I thought readers may be interested in hearing more about Melissa Barker-Simpson’s thoughts behind her new novella, The Contract, simply because I have questions for her, and I’m a reader too! Melissa is kind enough to take the time to stop by and have a talk with us. And please, don’t be shy. If you have a question for Melissa, ask away! Gina: Where did you get the idea for your new series, The Fractured? Melissa: I’m not sure if you know this about me, but I really love wolves. So it’s not surprising that I’ve always wanted to write a tale about werewolves. Since my stories are character driven, I’ve had to wait until the right character came along. Last year, Maddison introduced herself to me and I couldn’t stop thinking about this feisty witch, who uses her hair as a weapon. As I got to know her, the world she inhabited started to take shape. Imagine my joy when I discovered she’s friends with a werewolf! I knew she was a hunter, and no ordinary witch. As I began writing, I learned of the many adventures Maddy and her friends have taken together. So many adventures that I plan to share them through a serialised fiction project I have named The Collective. This is in addition to the Fractured. Gina: Do you have more books, or novellas, written for the series? Melissa: The first in the series, The Fallen is in the editing stage and is due for release in July of this year. I write other series too, so the second novel in the Fractured series won’t be released until the latter part of 2016. Gina: How many novels and/or novellas do you have planned for the series? Melissa: At least three novels, but that isn’t set in stone. Gina: When did you know that you wanted to write this series? Melissa: As soon as I spent any time with Maddy! Around the time we started thinking about our collaborative project, The Fallen was almost complete. I knew Maddy would be perfect for the novella in our anthology, so I guess I have you to thank for all the time I’ve spent with her over the last few months! Gina: I’m always glad to help! Gina: How did you go about writing The Contract? Melissa: I’m not much of a planner, but I knew that I wanted to write a story which showcased Maddy and her wicked sense of humour. She often leaps into situations without thinking, and I had a clear sense of the trouble she might get into. From there I let her battle her way out of it! Gina: Do you have a favorite scene from The Contract? Ooh, I really like that question! My favourite scene is the moment Maddy comes face to face with Grendel, the dwarf who is after her blood! I haven’t finished with him yet, he’s one of my favourite characters and he deserves his time in the spotlight. Gina: How attached do you get to your characters when you’re writing about them? Melissa: They’re like my children! I feel everything they feel as we take the journey together; the hurts, the joy, the pitfalls, the triumphs. I find it really difficult to let them go – which is probably why I’m juggling so many series! Gina: I had a feeling you would say that! 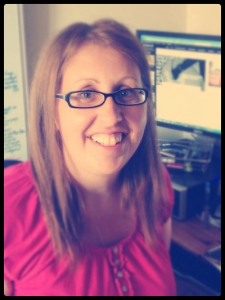 Gina: What did you think of the collaborative aspects of publishing your first anthology? Hint – I had a lot of fun with it! Melissa: I absolutely loved it! I’m lucky because I got to take the journey with a friend, and I had so much fun: writing; collaborating; hashing out ideas; creating the finished product, and most of all chatting with you each step of the way. Anytime you want to start planning Changing Worlds 2, just let me know! Gina: I’m glad you enjoyed it as much as I did. We definitely have some planning to do for the next anthology! Gina: What is your next release? Melissa: The Fallen, which is due out in July, as I said. In September 2015 I will be releasing Brothers in Arms, the third in the Morgan and Fairchild series. Gina: Oh, yay! I’m looking forward to both of those releases! Thank you for sharing with us, Melissa! The Contract is available in paperback, from Kindle, and from Smashwords. Bio: I’ve been writing since, well…since I was knee-high to a grasshopper. I often look back on those earlier stories, and apart from laughing at the heavy-handed drama, or cringing at my inexperience, I am reminded that I have always lived in other worlds. I hope you’re receiving my newsletters and exclusive announcements, but in case you aren’t, you can sign up here. 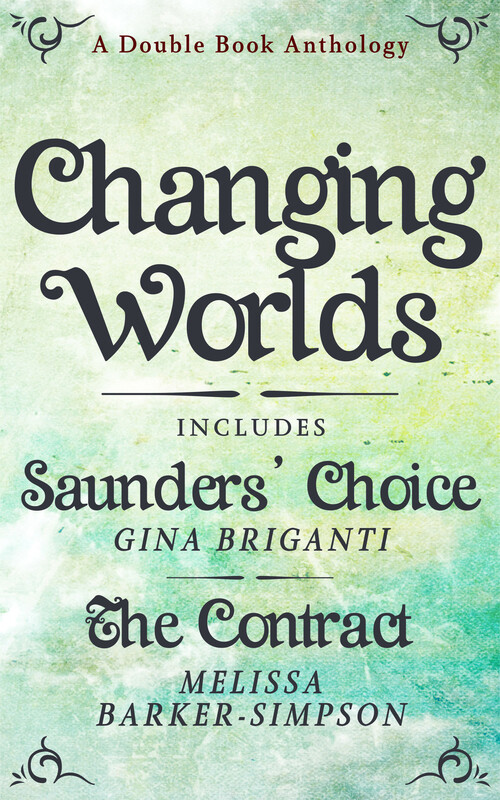 < Previous It’s Release Day for Changing Worlds by Gina Briganti and Melissa Barker-Simpson! Thank you for giving more insight into The Fractured series! It’s very exciting to learn more about how it came to be. I’m so glad you enjoyed the interview, Callum. Your support is always appreciated. Reblogged this on BluedarkArt the Chameleon's Art. We appreciate your reblog! Thank you!